Rooster... Crowing at the dawning of each day, the rooster in many cultures has become a symbol of the sun. The rooster can be differentiated from the hen by its striking plumage & larger comb on top of its head. The rooster is marked by a long flowing tail & shiny pointed feathers on its neck & back. 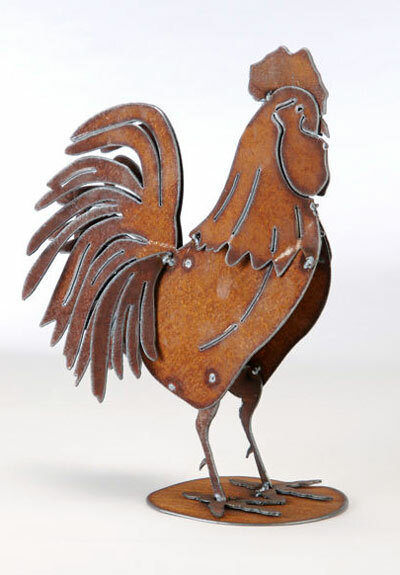 Henry Dupere Rooster Metal Garden Sculpture. Size: 17" tall x 13" deep.